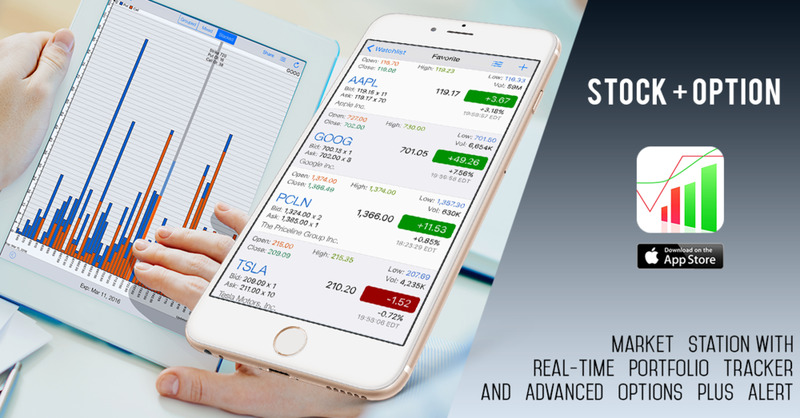 We offer various financial apps covering a great range for your one-stop stock and options research on your iPhone, iPad, and iPod touch. In addition to the common features like quote, stock chart with technical indicators, live news, and multi watch-list management, our apps offer many more well designed and specialized tools to help you explore the financial markets efficiently and effectively, and plan your trade well. Options Pro: Monitoring the options market effectively. Providing fast options chain loading, options strategy planning, profit loss calculator, options greeks, options watchlist, chart and visualization and also unusual volume and OI monitoring. Active Portfolio: Effectively tracking the portfolio positions live, manage multiple portfolio account and aggregate in summary view. Unparalleled fast portfolio information reporting. All comes with personalized alert for coming earnings, dividend payout, expiring options, big price move, insider selling and SEC filing. Copyright © 2017, 2018 Mobile Interactive LLC. All rights reserved.